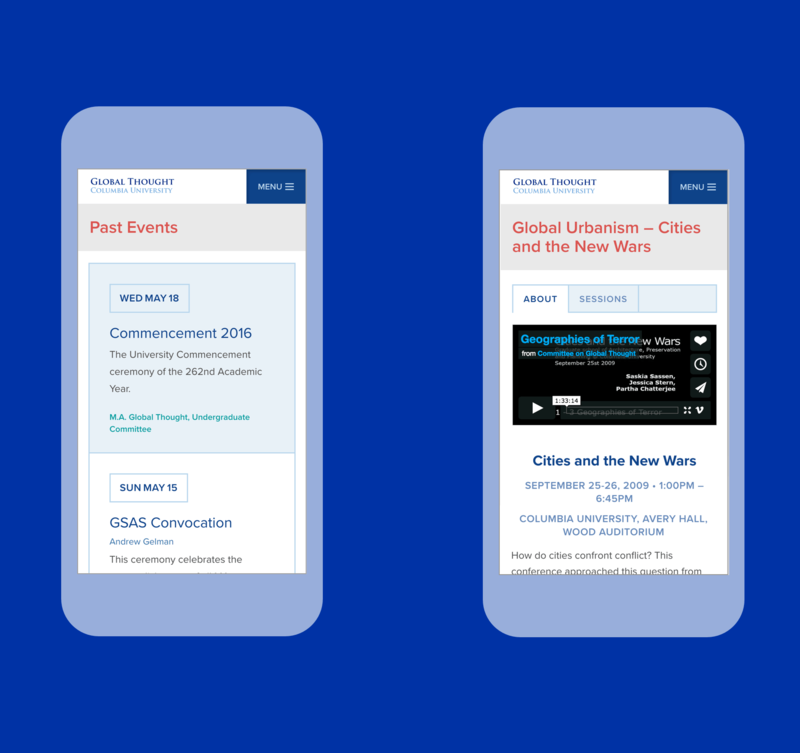 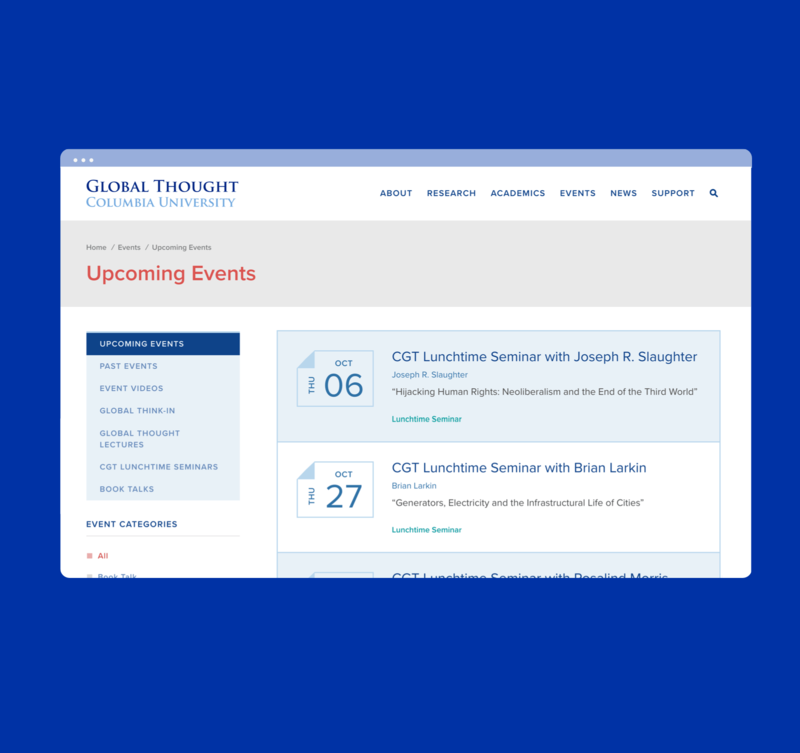 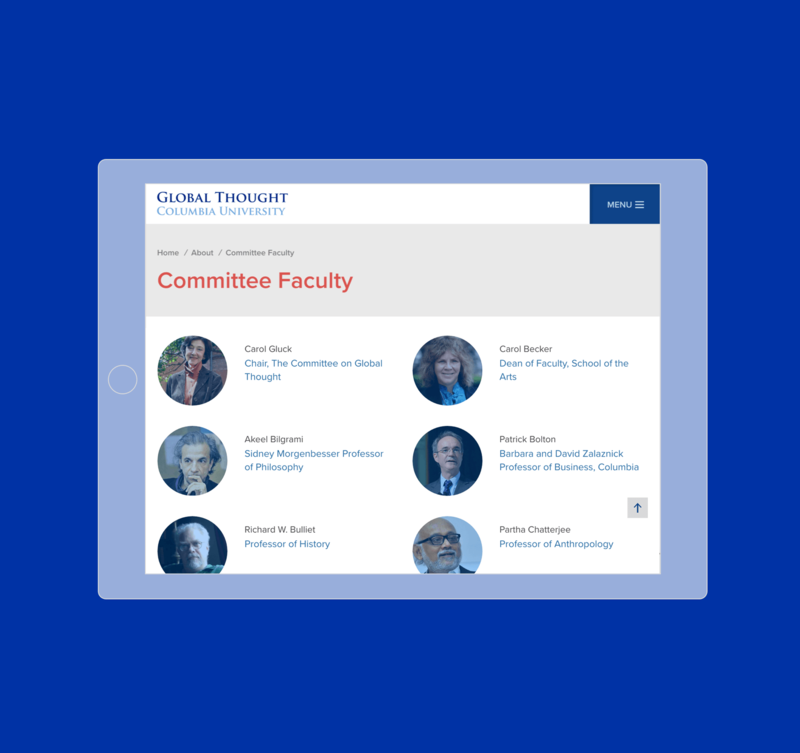 Columbia University Global Thought offers undergraduate and graduate courses, lectures and events and post-doctoral research on globalization. 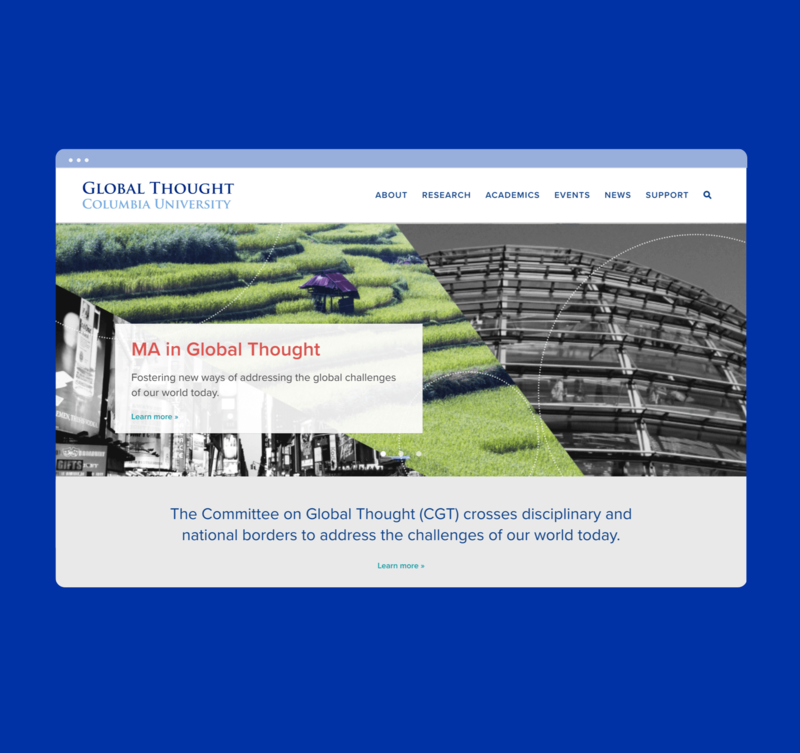 We were tasked to create an updated look and feel while showcasing CGT's rich content. 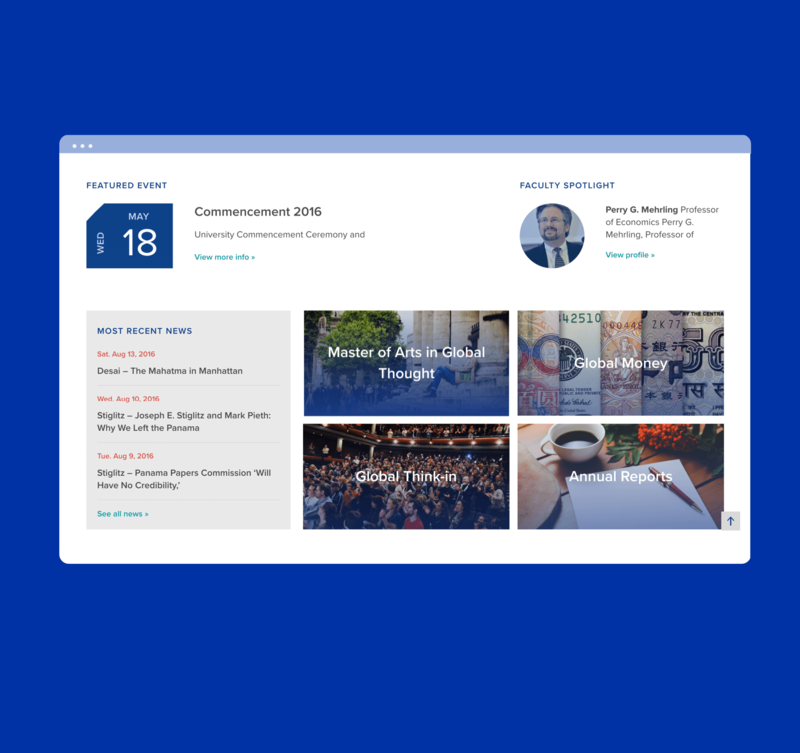 The result was a more colorful and clean aesthetic paired with a flexible design system that can grow with their continuous content. 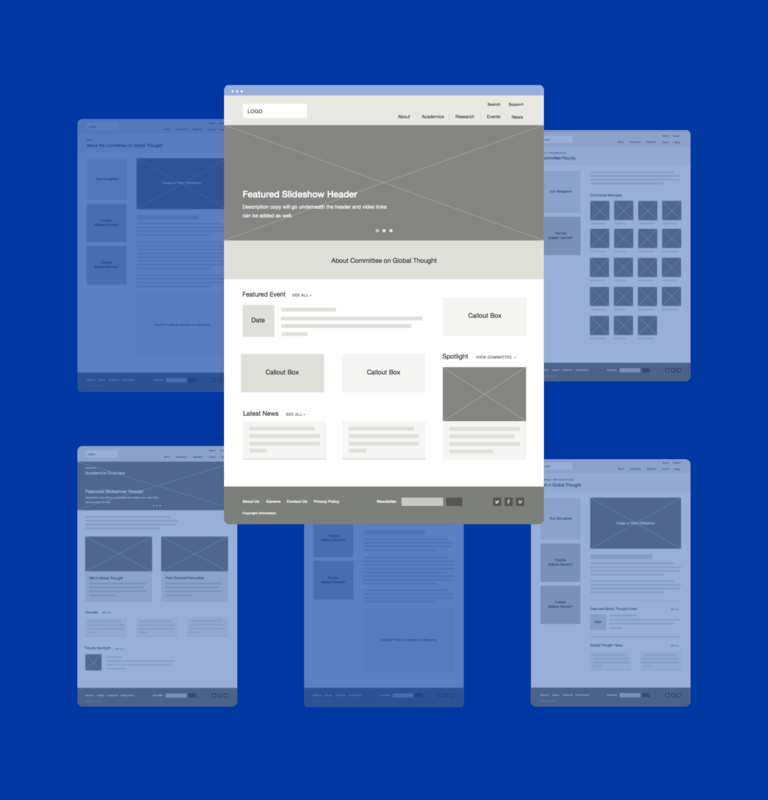 Based on site map and content workshops with the client, we created six unique templates that could adapt alongside their growing content.